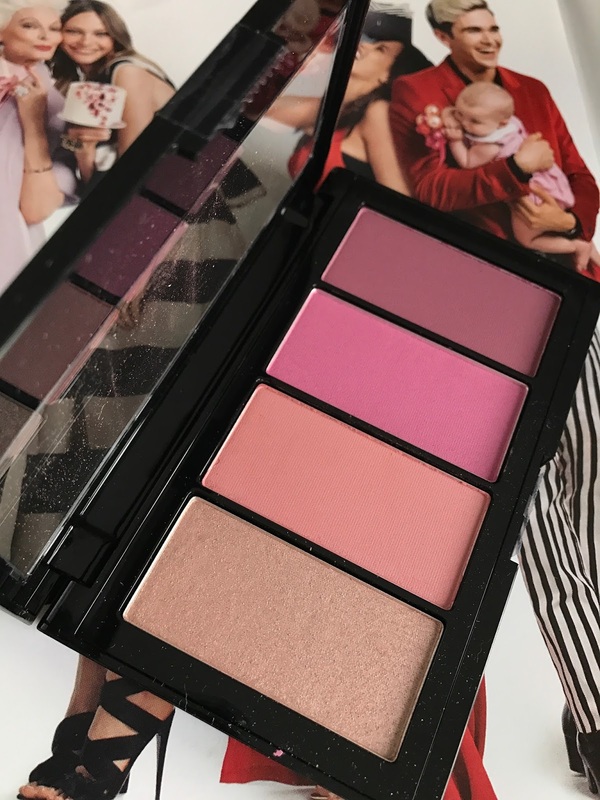 I happen to be a big fan of blush and in during the past few months there's been so many blush launches, but the majority have definitely been from high-end brands. 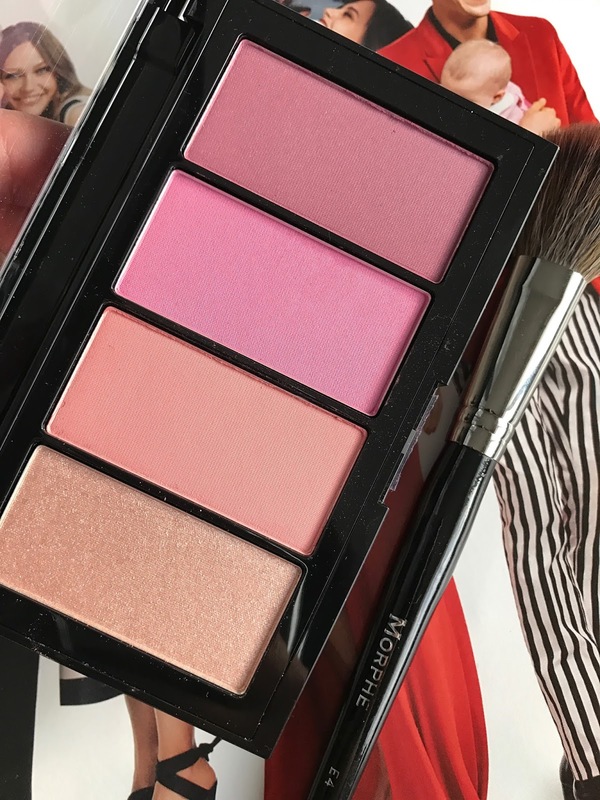 Now I love a good high-end blush as much as the next gal, but they can get so expensive especially when we're talking blush palettes. That's why I was super stoked when I spotted the Maybelline Master Blush Color & Highlight Kit at Walmart this week. 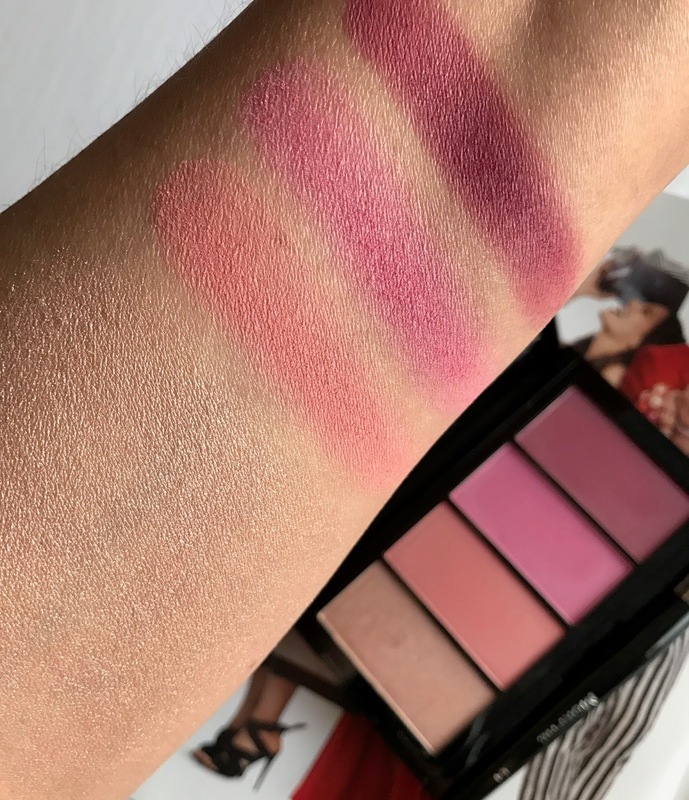 Why was I so excited to see the new Maybelline Master Blush Color & Highlight Kit? See for yourself! It's not just an affordable blush palette, the blushes are actually wearable & quite gorgeous! At first glance I actually thought of NARS and a blush palette of theirs that is similar. If you know NARS, then you know their products are definitely much higher in price, so to see something similar from Maybelline is quite exciting. How often do you see such a gorgeous blush palette for only $10? Not very often. Plus, you rarely, if ever - see any darker blush shades at the drugstore. I feel like at the drugstore I rarely see anything like a dark berry. The 4th shade in this palette is a perfect shade for medium to deeper skin tones and my favorite in this palette, it's gorgeous! All the shades in this palette are beautiful, but that darker berry shade is definitely the star of the show for me. No doubt the Maybelline Master Blush Color & Highlight Kit is something of a unicorn. I'm actually updating this post almost a year after the original review and after owning it so long I can tell you that I still love this palette. In the swatches you can see that these powders are a little bit on the powdery side, they also don't all feel super creamy, the middle two have more of a dry consistency. But I have dry skin, especially in the outer perimeter of my face, and these blushes don't look dry on my skin nor do they enhance any dryness or texture. When I first got the palette I remember thinking that I would probably one use the last two shades on the left, but surprisingly enough I love all the blushes and have used them all quite a bit. In fact on most days, I will run the brush through all the pans and for a perfect everyday flush. They all play well with each other and mixed they make the perfect concoction. FYI: The peachy shade is the PERFECT everyday blush and I didn't like it at all when I first saw the palette. Now it's my most used. The highlighter is another story unfortunately, that does tend to sit a little dryer on top of my cheekbones (which is probably the driest spot on my face) which means that I don't use it. Highlighters for me have to be creamy and soft and it's probably the hardest product for me to like in any range, so it's not surprising that this one wasn't my favorite. I have seen many other reviews of this palette though and others do love the highlighter. It's more of a personal preference really, and could totally work for you. 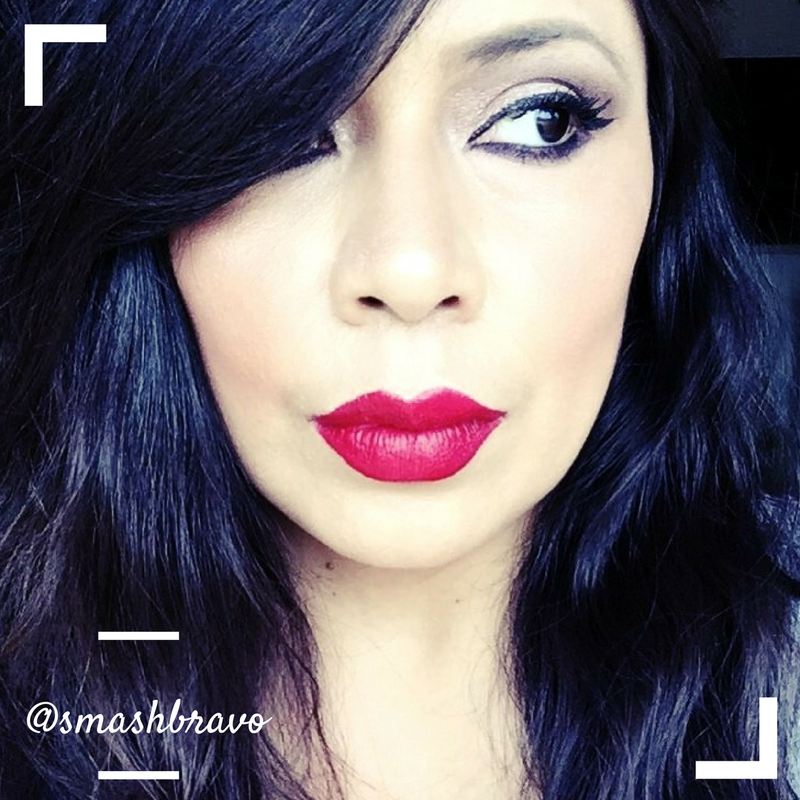 The Maybelline Master Blush Color & Highlight Kit is one of my top picks for 2017. 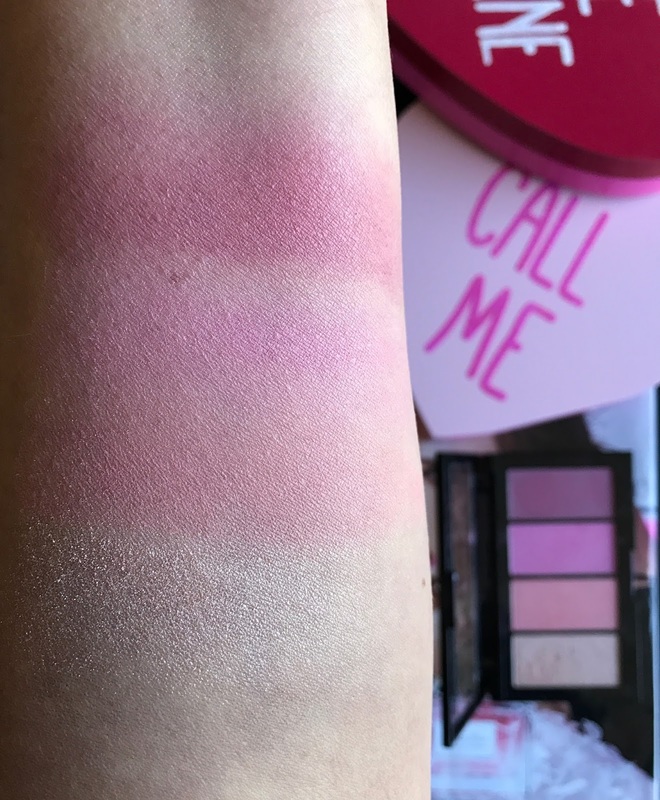 At only $10 this palette gives you three beautiful blush shades that you can use alone, or mix up the way I love to do. It's compact and sleek design makes it easy to store and travel with, while giving you 4 face powders to work with. 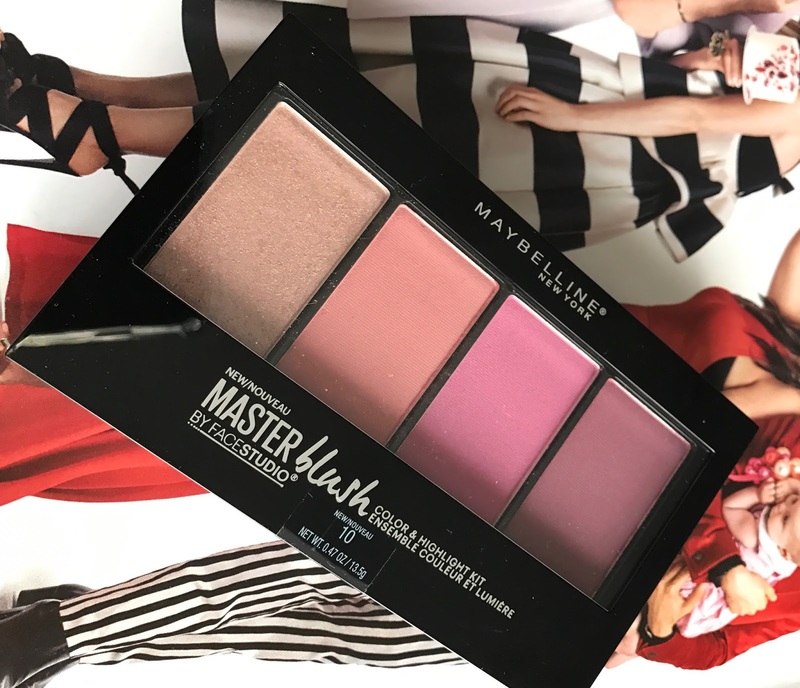 You can find the Maybelline Master Blush Palette at Ulta, Walmart and the retailers below. * This post contains affiliate links. Purchases made through those links will earn me a small commission. Thank you in advance if you decide to shop through my links!